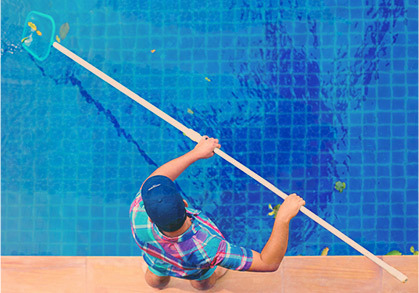 Being an owner of a pool is not just fun and games (while we will admit, that is about 95 percent of what being a pool owner means). You also have to be very responsible when it comes to the pool chemicals. There can be many dangers for both too little and too much chlorine. Chlorine is what most public and private pools rely on when it comes to disinfection. The CDC says that to be conforming to regulations your pool needs to have chlorine levels between 1.0 and 3.0 parts per million (ppm). If the levels are different at all, they can cause more harm than you would think. 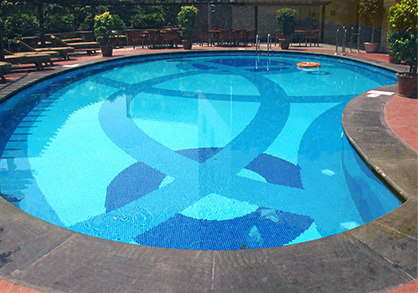 This is why it is so important to hire professionals for your swimming pool maintenance. Most people have heard that too much chlorine exposure can turn blonde hair green. Many people associate eye irritation with with swimming in the water in general but too much chlorine can make eyes burn and hurt. It can also cause burning in the nasal passage and throat from inhaling the water. Skin can also become very irritated and develop rashes in water that has an off-balanced pH level. When there is too much chlorine in the water, the fumes become stronger. You have to inhale it when you are in the water and that means that the fumes will get into your lungs. This is why it is so important to have proper pool maintenance. There is a byproduct called trihalomethane that hovers just above the water’s surface and can cause asthma-like symptoms. 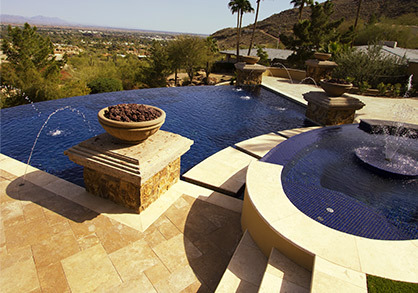 There are many health concerns when it comes to having too much chlorine in your pool. If you are worried about getting the right chemicals in the pool, call us today to schedule a maintenance package.